Dr. Kerri Bakker is a native of Washington, New Jersey. She attended the University of Notre Dame where she double majored in pre-med and sociology, and graduated with a Bachelor of Arts degree. She then went on to achieve her Bachelor of Arts and her Doctorate of Optometry from the highly respected Pennsylvania College of Optometry at Salus. Dr. Bakker is a member of the American Optometric Association, Pennsylvania Optometric Association, the Chester Delaware County Optometric Society, the Pennsylvania Diabetic Eye Health Alliance and the optometric honors society, Beta Sigma Kappa. Dr. Kerri Bakker has been in practice since 2005, and she specializes in comprehensive eye care, contact lenses, ocular surface disease, including dry eye, glaucoma, diabetes, and ocular emergencies. 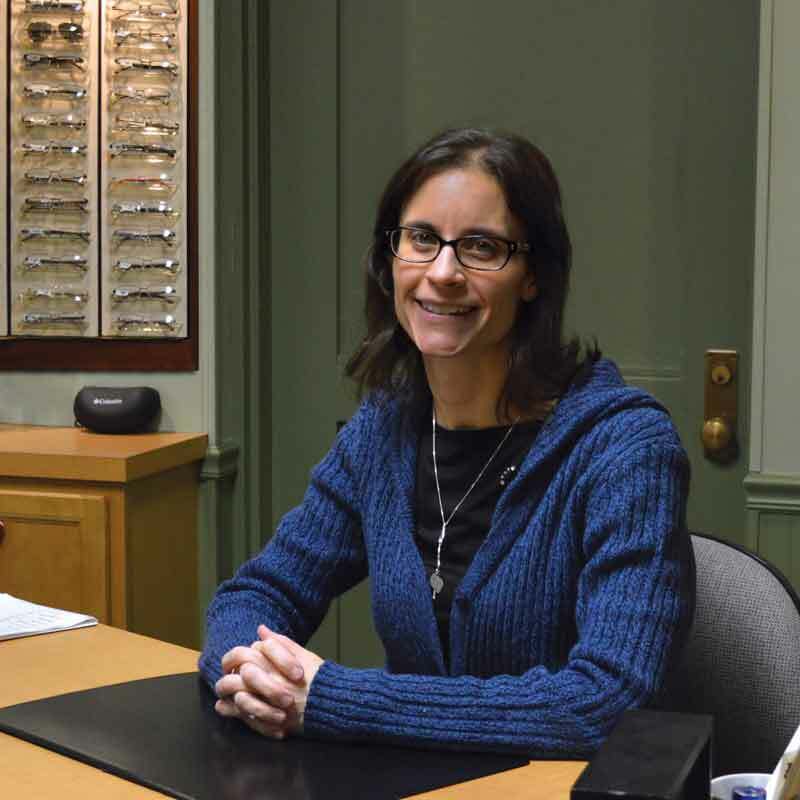 She joined Berks Family Eye care in 2015, where she sees patients in our Birdsboro office. Dr. Bakker played four years of women’s soccer, and was a senior captain, at her alma mater, Notre Dame. Today, she enjoys spending time with her husband, and chasing after her two small children.